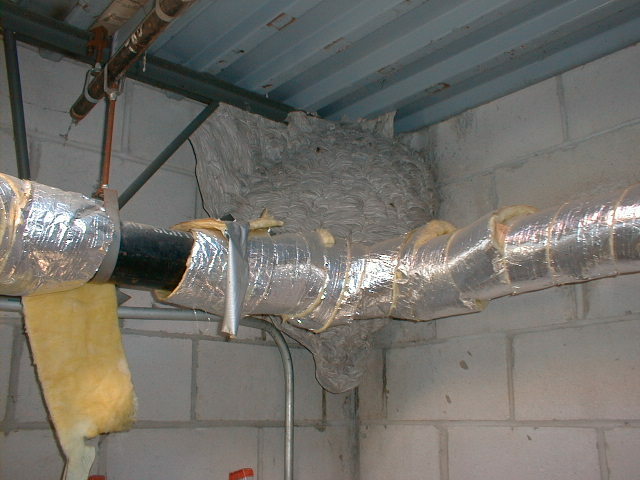 This is a very large Wasp Nest inside a commercial building. Those blocks are 8" x 16". You calculate the size of the nest. It's a big one. 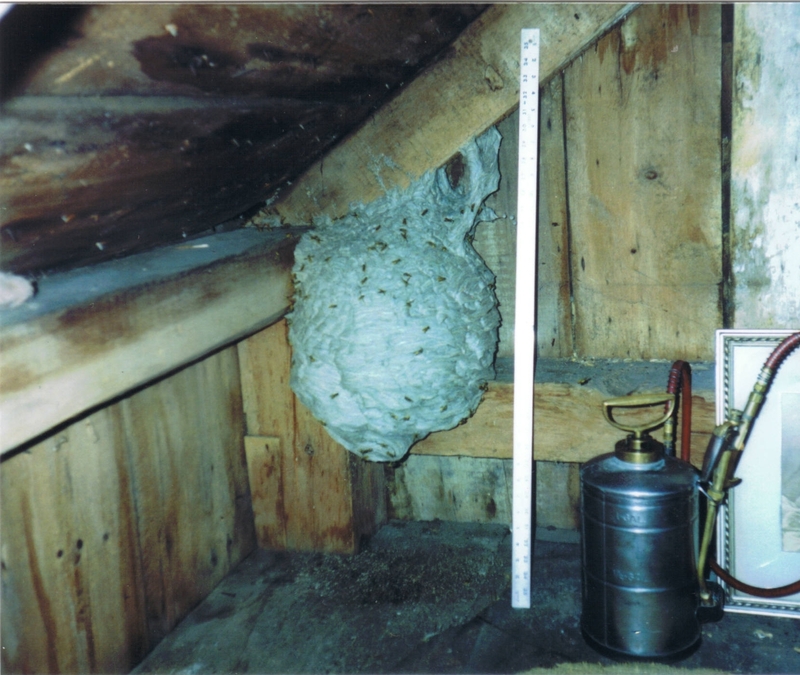 Real big White Faced Wasp Nest. 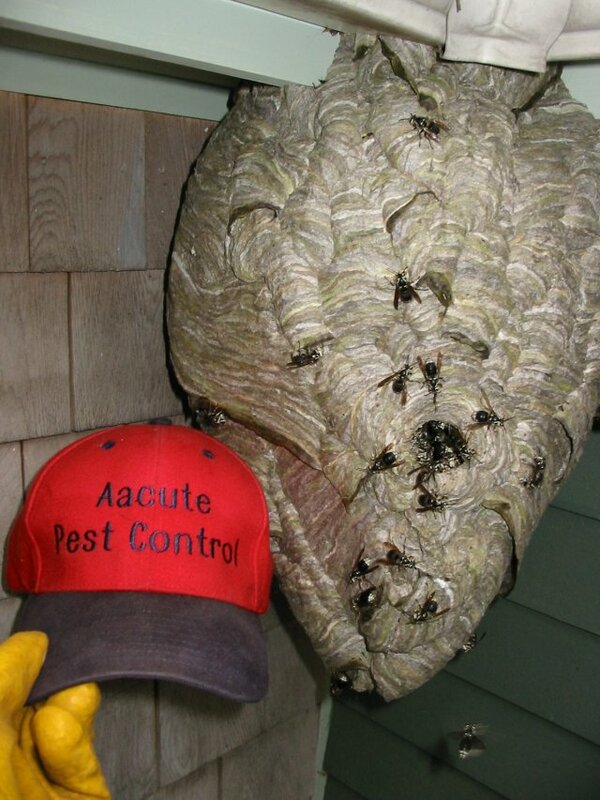 Here's one of our hats next to this large nest for comparison. This nest was in the eave of an antique house in Dennisport, MA. That's a yard-stick leaning to the right of the nest.